* Check out this 2018 RAM ProMaster City * * 2018 ** RAM * * ProMaster City * You can't go wrong with this Blue Night Metallic 2018 RAM ProMaster City. Rocking a dazzling dk. blue exterior and a black interior, this car is a great pick. Call today to test it out! * Check out this 2018 RAM ProMaster City * * 2018 ** RAM * * ProMaster City * You can't go wrong with this White 2018 RAM ProMaster City. The exterior is a classic white. This is the vehicle you have been waiting for! Call now to schedule a test drive! * Check out this 2019 RAM PROM * * 2019 ** RAM * * PROM * You can't go wrong with this Blue Night Metallic 2019 RAM PROM. The exterior is a timeless blue night metallic. Call today and take this one out for a spin! * Check out this 2019 RAM PROM * * 2019 ** RAM * * PROM * You can't go wrong with this Deep Red Metallic 2019 RAM PROM. The exterior is a sleek deep red metallic. Call today to test it out! * Check out this 2019 RAM PROM * * 2019 ** RAM * * PROM * You can't go wrong with this Deep Red Metallic 2019 RAM PROM. The exterior is a sharp deep red metallic. Interested? Call today and take it for a spin! * Check out this 2019 RAM PROM * * 2019 ** RAM * * PROM * You can't go wrong with this Blue Night Metallic 2019 RAM PROM. The exterior is a suave blue night metallic. Make your move before it's too late schedule a test drive today! 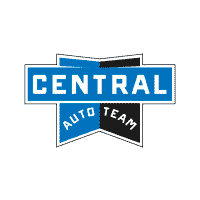 Central Auto Team	, .